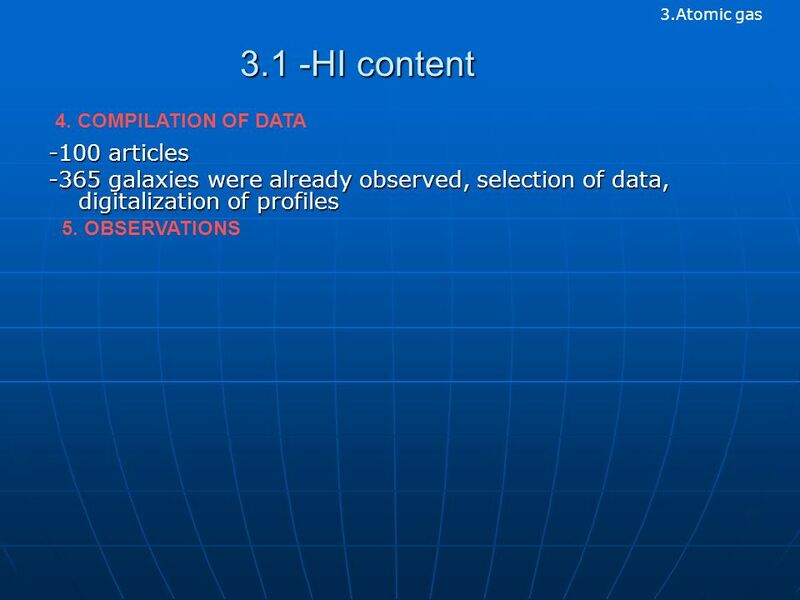 Atomic gas (HI) in Isolated Galaxies Daniel Espada Fernández Advisor: Lourdes Verdes-Montenegro Dpto. 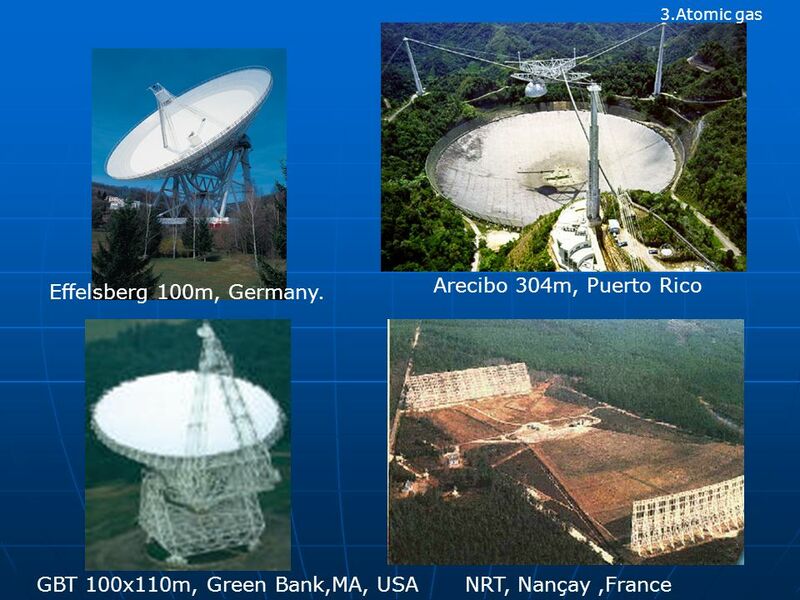 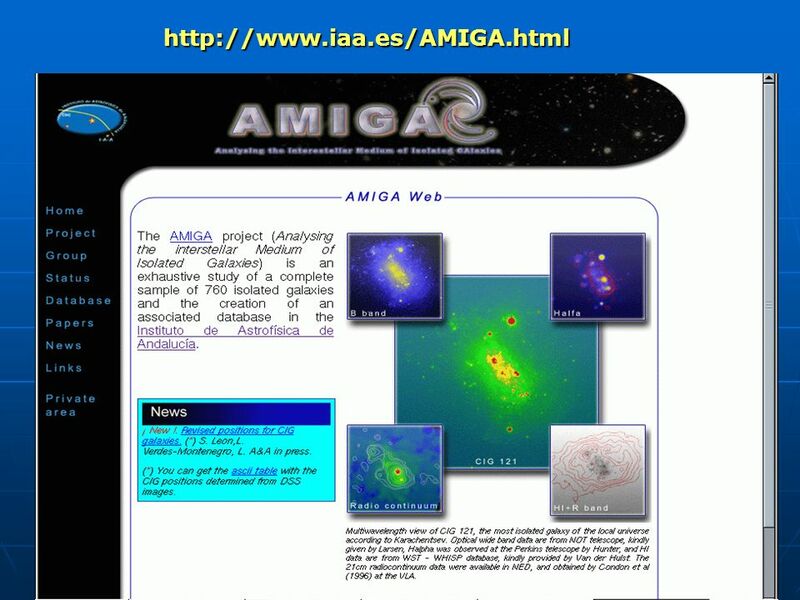 de Astronomía Extragaláctica IAA-CSIC. 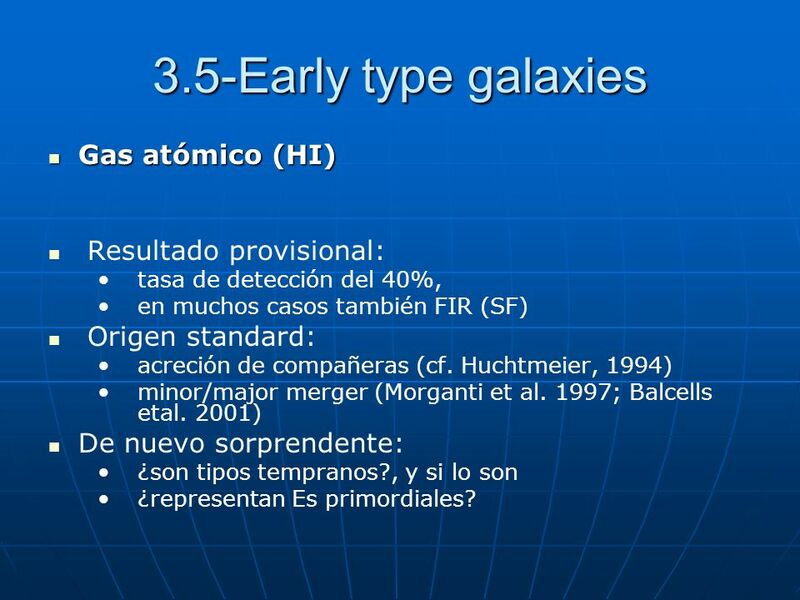 29 3.5-Early type galaxies Gas atómico (HI) Gas atómico (HI) Resultado provisional: tasa de detección del 40%, en muchos casos también FIR (SF) Origen standard: acreción de compañeras (cf. 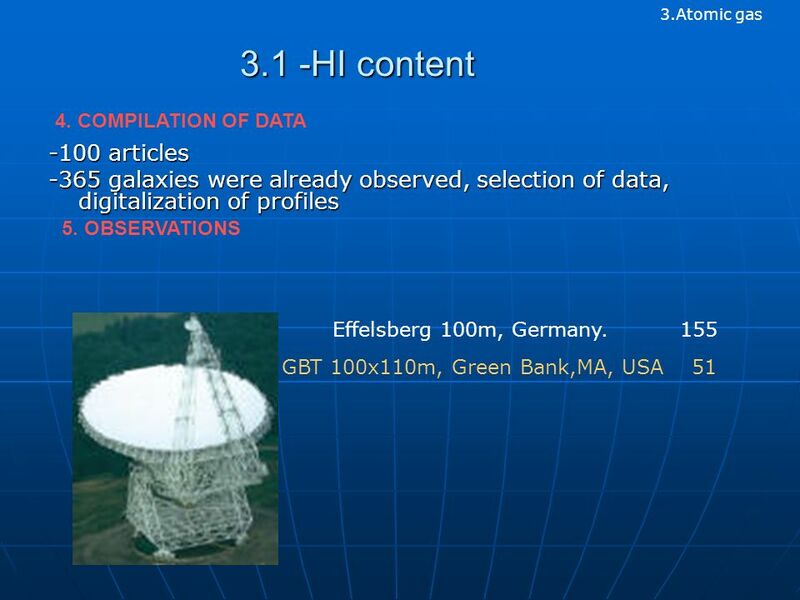 Huchtmeier, 1994) minor/major merger (Morganti et al. 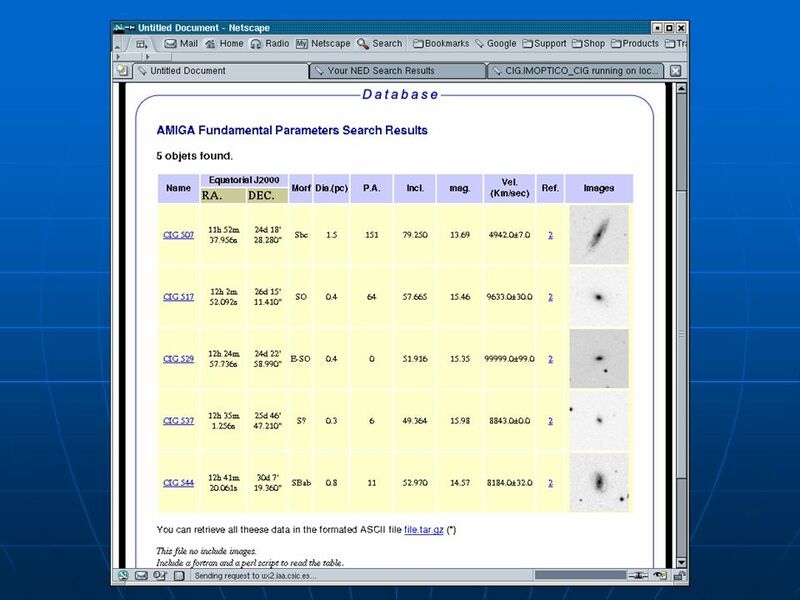 1997; Balcells etal. 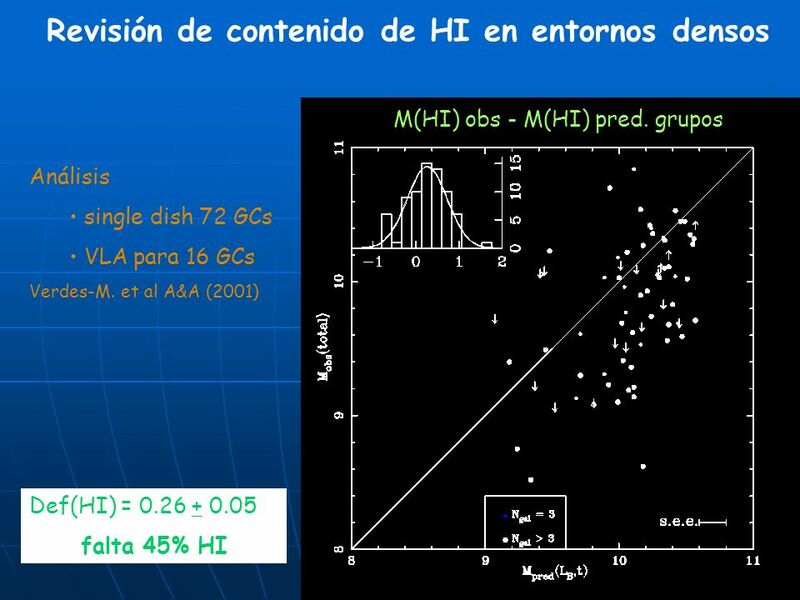 2001) De nuevo sorprendente: ¿son tipos tempranos?, y si lo son ¿representan Es primordiales? 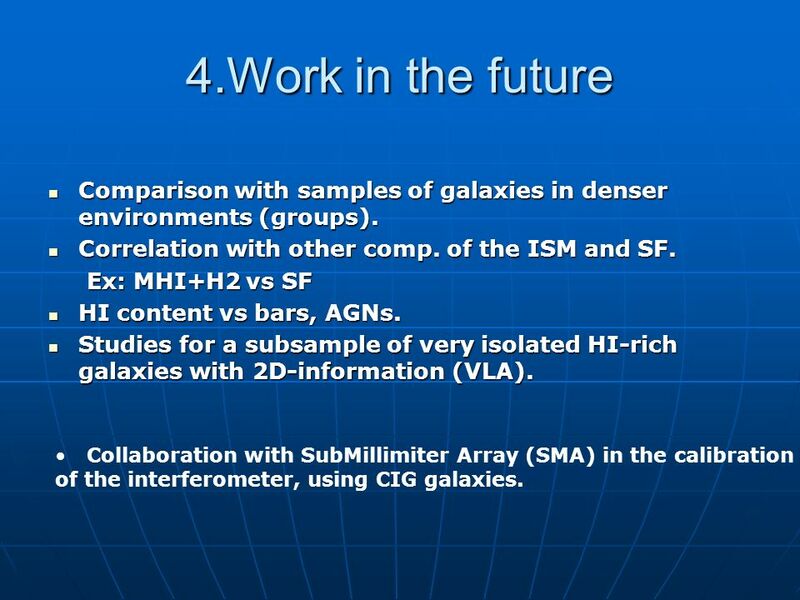 30 4.Work in the future Comparison with samples of galaxies in denser environments (groups). 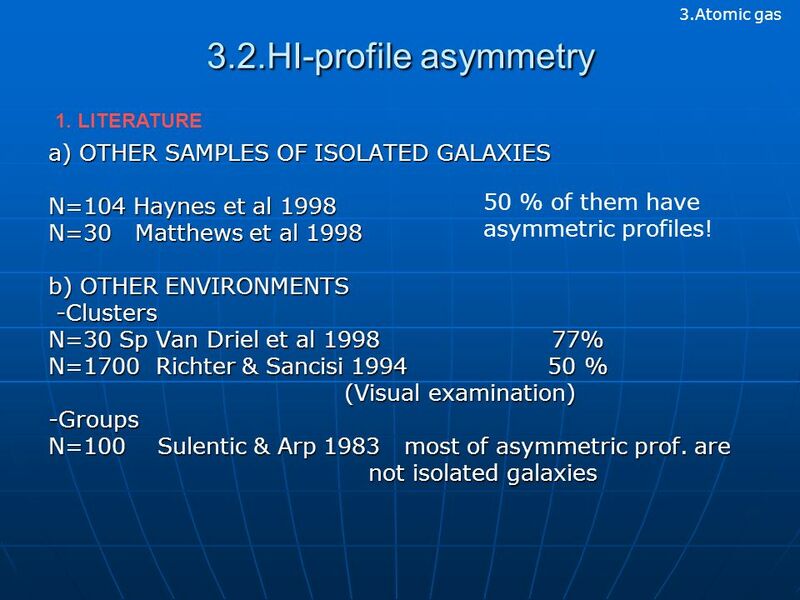 Comparison with samples of galaxies in denser environments (groups). 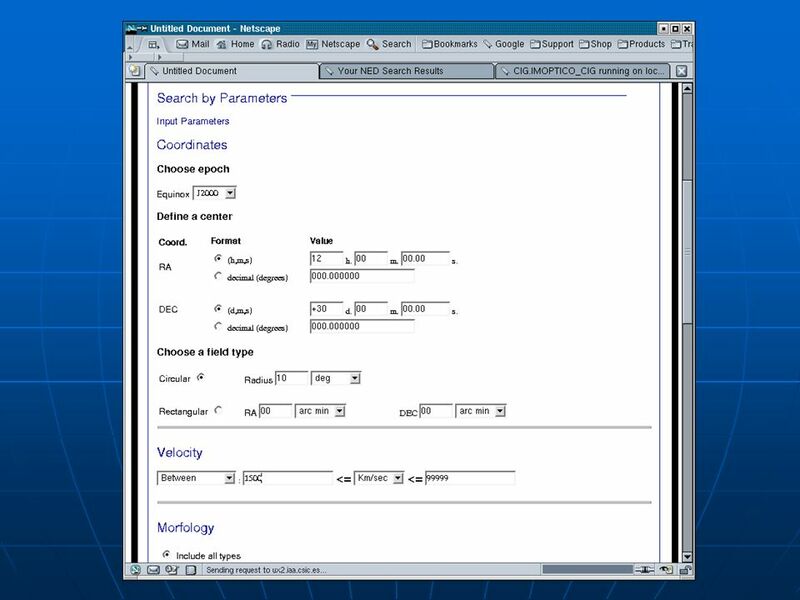 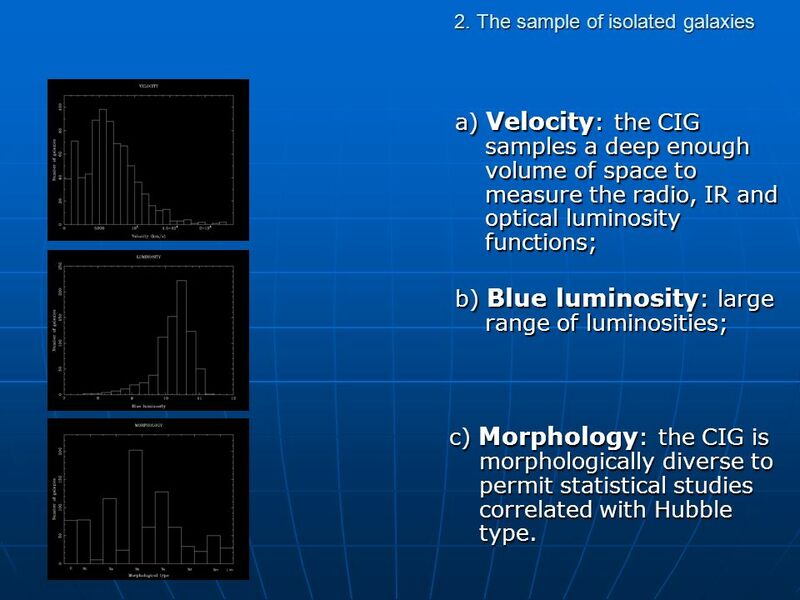 Correlation with other comp. 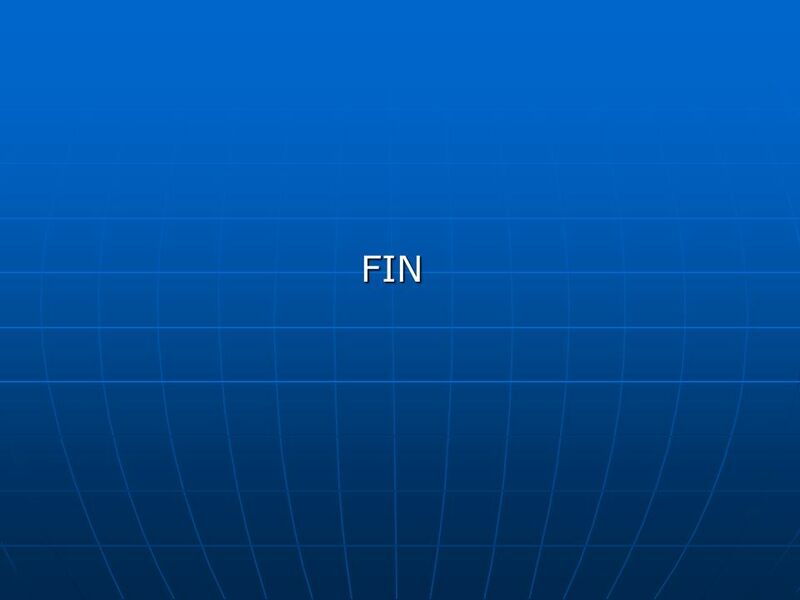 of the ISM and SF. 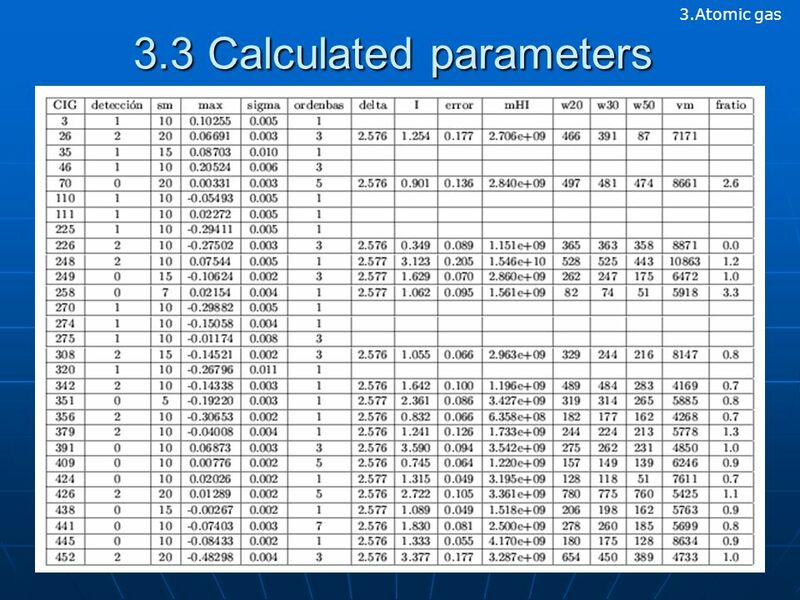 Correlation with other comp. 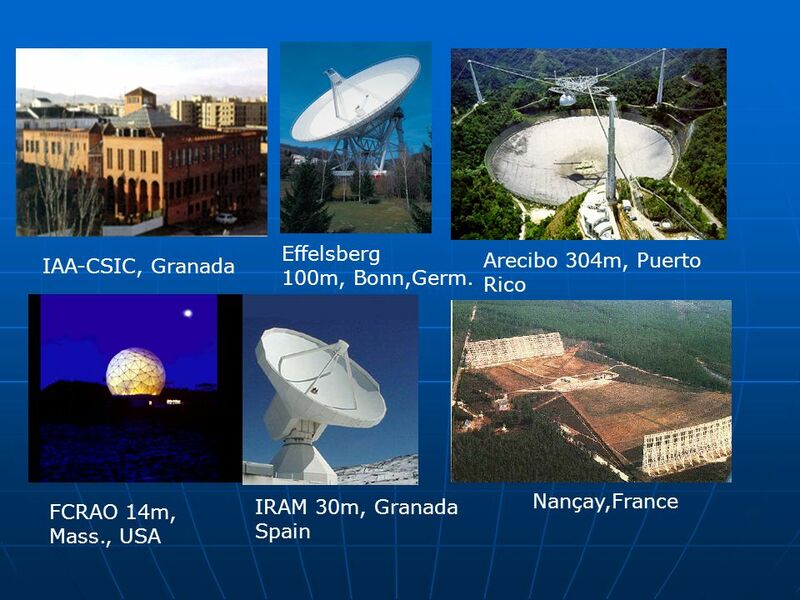 of the ISM and SF. 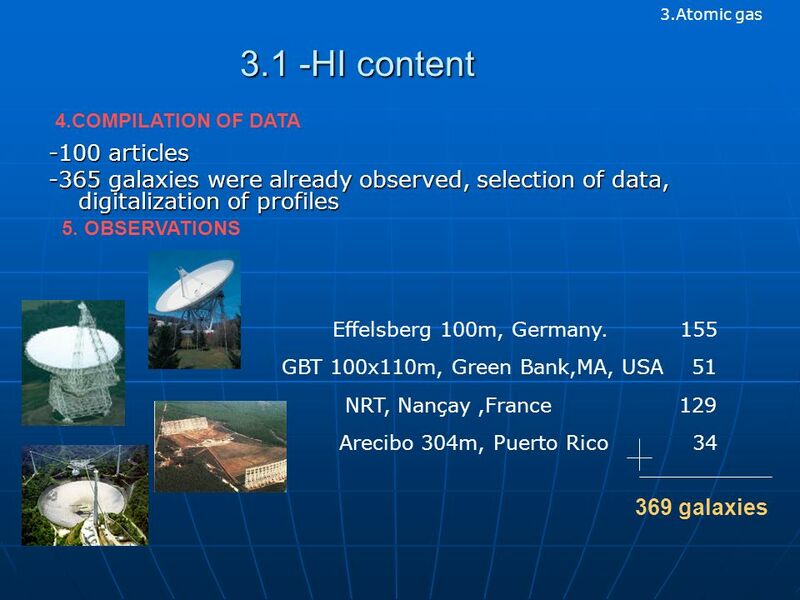 Ex: MHI+H2 vs SF Ex: MHI+H2 vs SF HI content vs bars, AGNs. 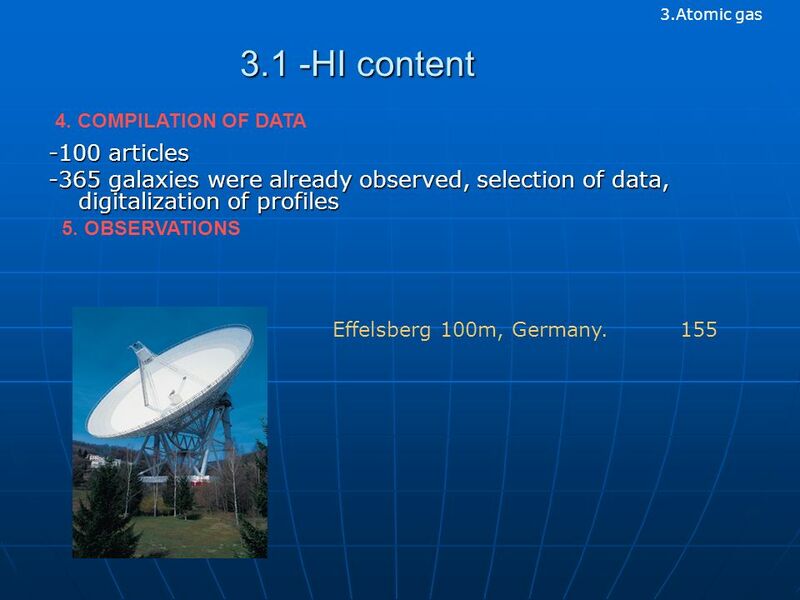 HI content vs bars, AGNs. 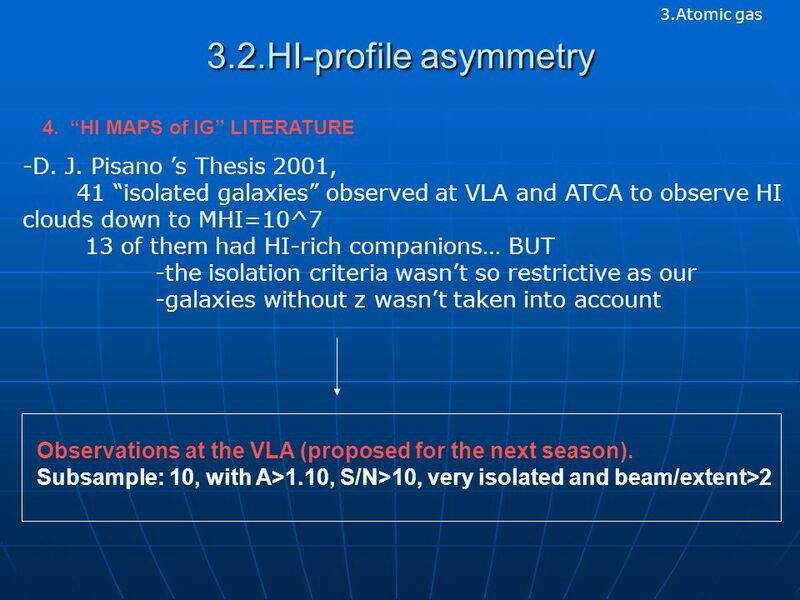 Studies for a subsample of very isolated HI-rich galaxies with 2D-information (VLA). 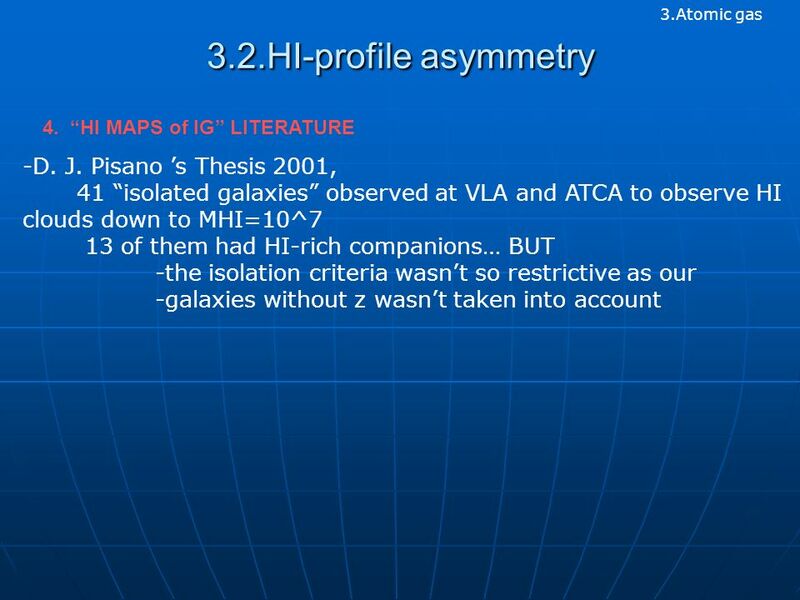 Studies for a subsample of very isolated HI-rich galaxies with 2D-information (VLA). 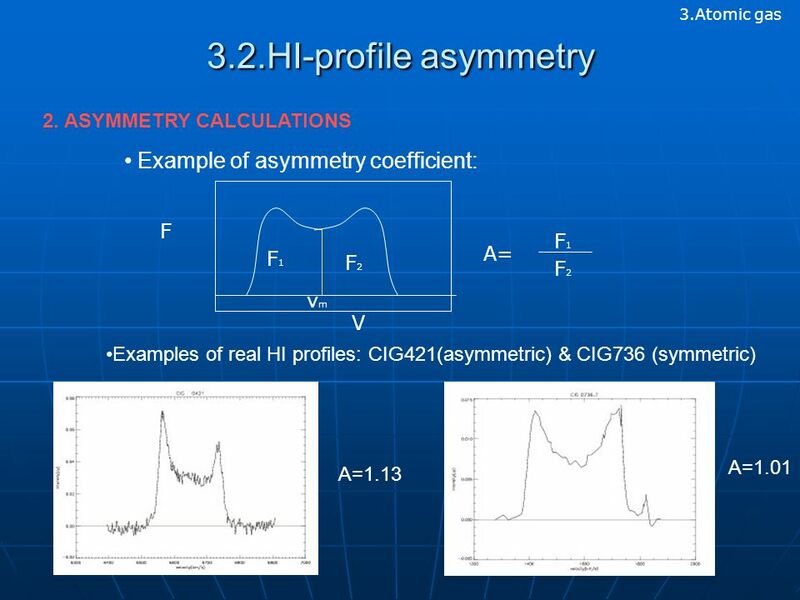 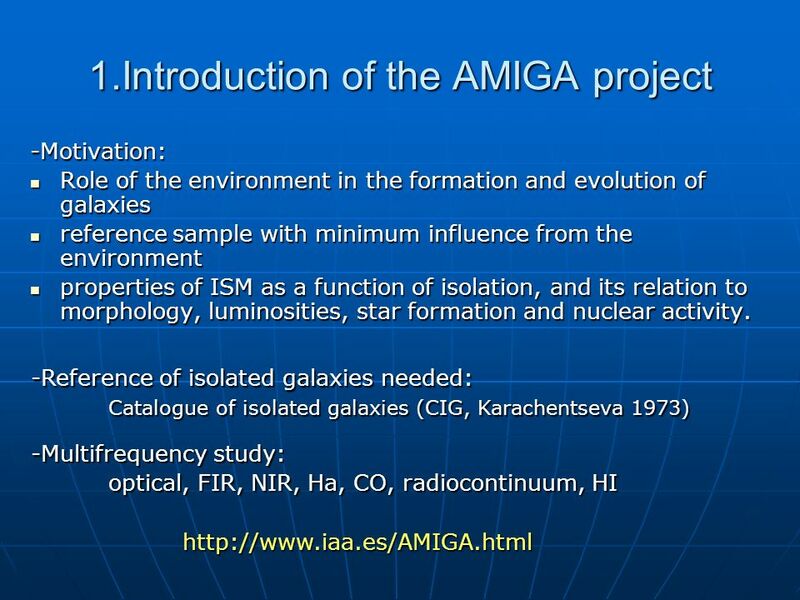 Collaboration with SubMillimiter Array (SMA) in the calibration of the interferometer, using CIG galaxies. 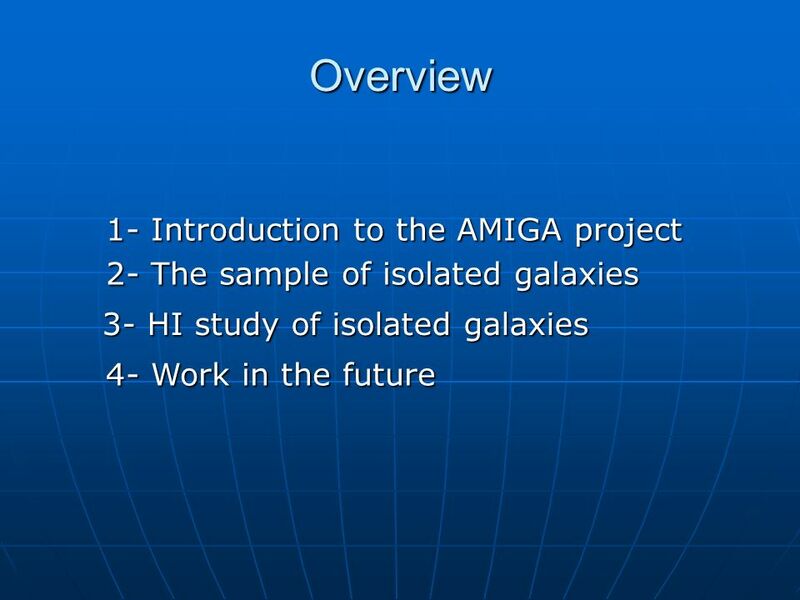 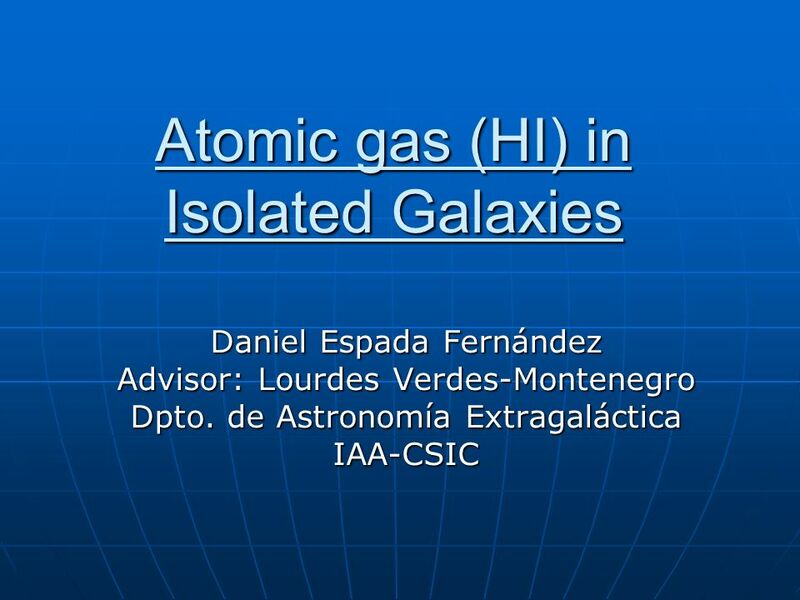 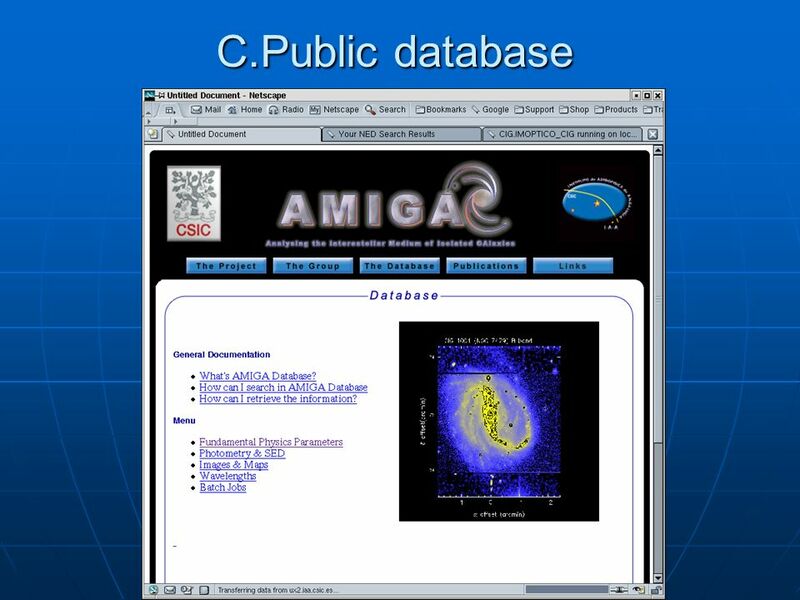 Download ppt "Atomic gas (HI) in Isolated Galaxies Daniel Espada Fernández Advisor: Lourdes Verdes-Montenegro Dpto. 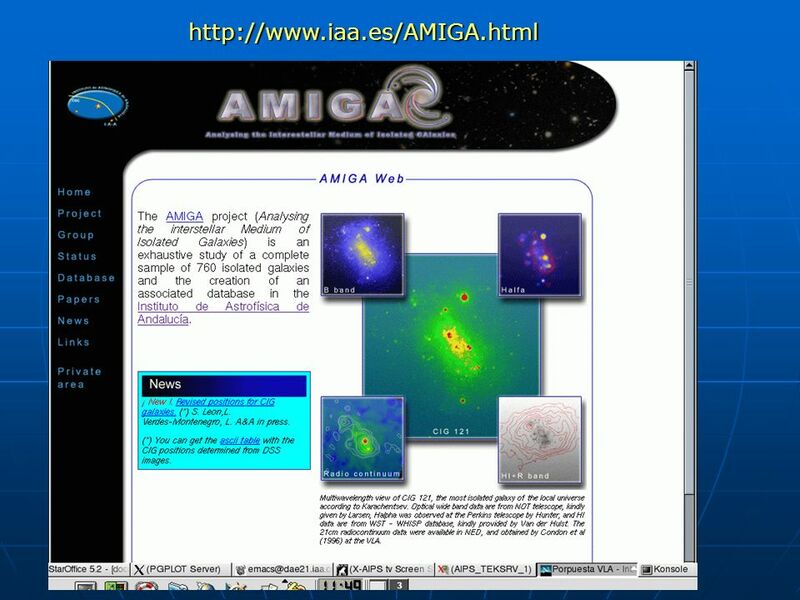 de Astronomía Extragaláctica IAA-CSIC." 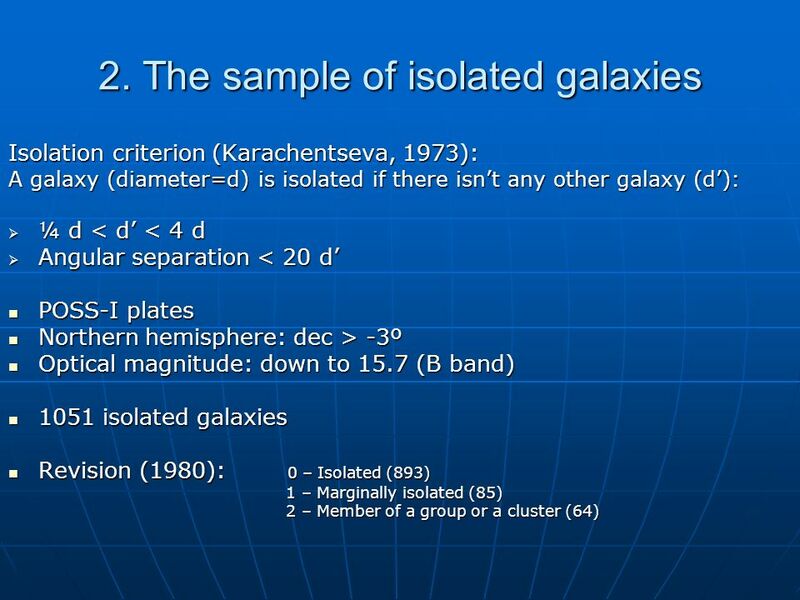 The Outermost Regions of Galactic Disks Ken Freeman RSAA, ANU MNRF Symposium NGC 6946: WSRT, Tom Oosterloo. 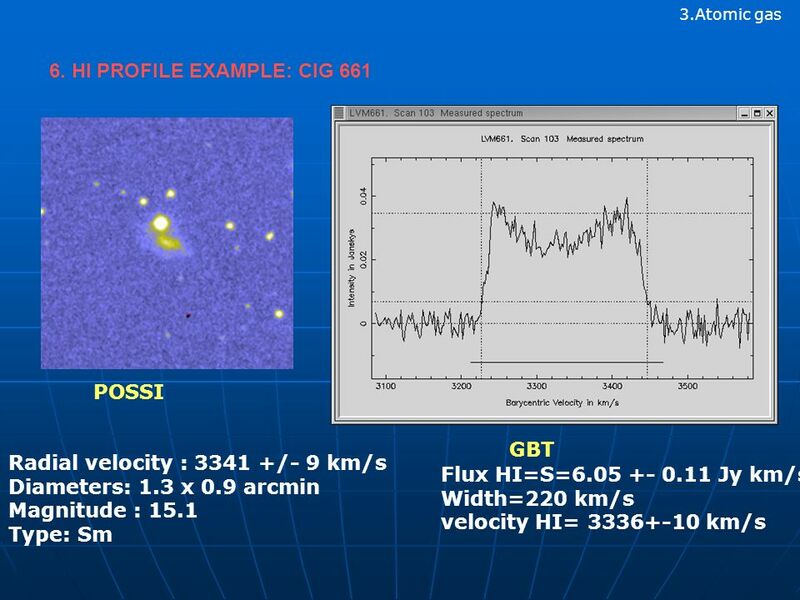 Cold dust in the Galactic halo: first detection of dust emission in a high-velocity cloud : Francois Boulanger et Marc-Antoine Miville-Deschênes Miville. 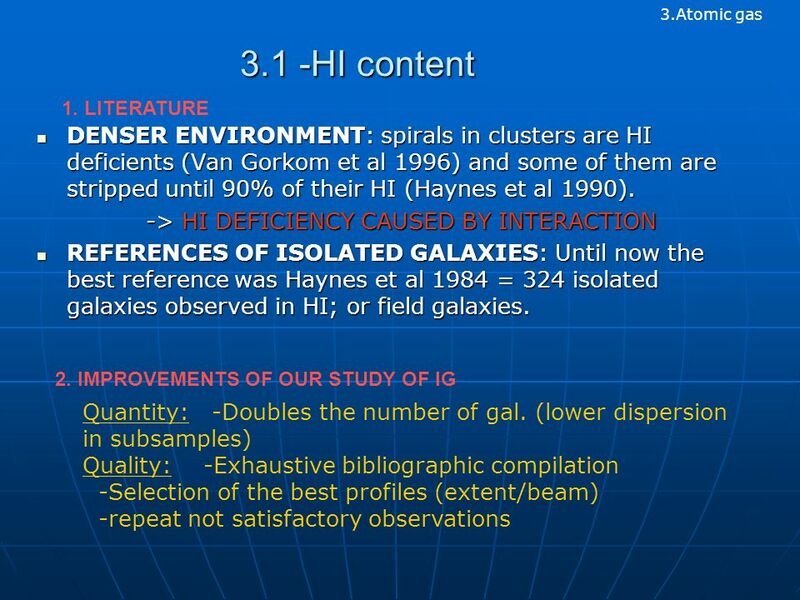 Molecular Gas and Star Formation in Dwarf Galaxies Alberto Bolatto Research Astronomer UC Berkeley Adam Leroy* Adam Leroy* Josh Simon* Josh Simon* Leo. 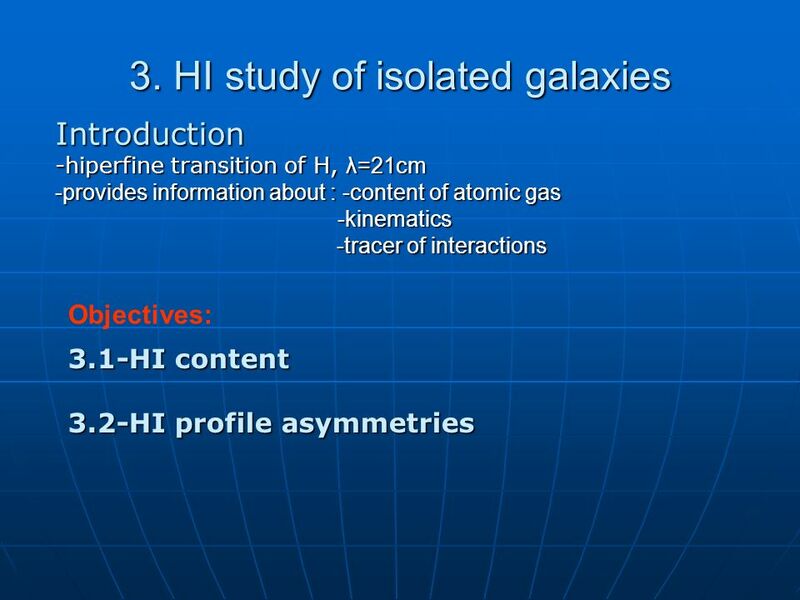 Interactions between Galaxies Galaxy Dynamics Françoise COMBES. 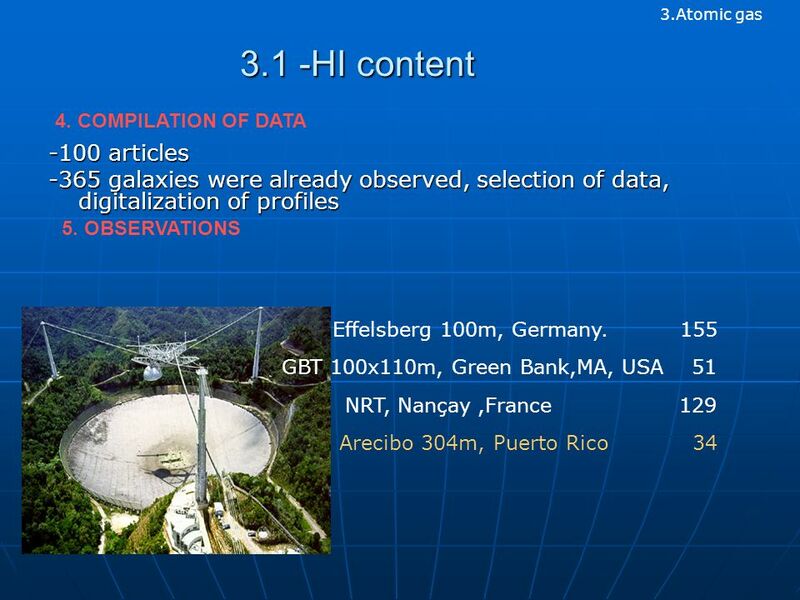 Wide Field VLBI Imaging I (Background) Indra Bains. 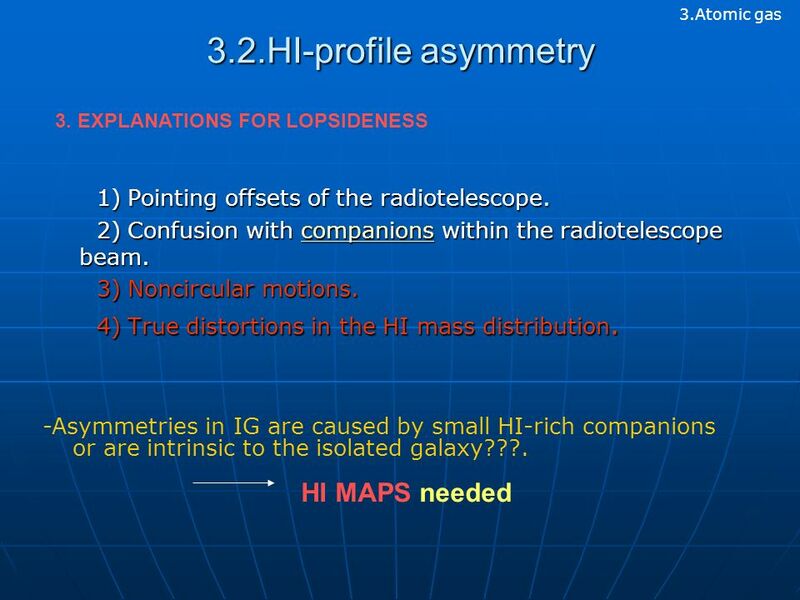 Formation of intergroup and intragroup objects Kenji Bekki (UNSW) Origin of isolated massive clouds, intergalactic HII regions, intragroup GCs etc…. 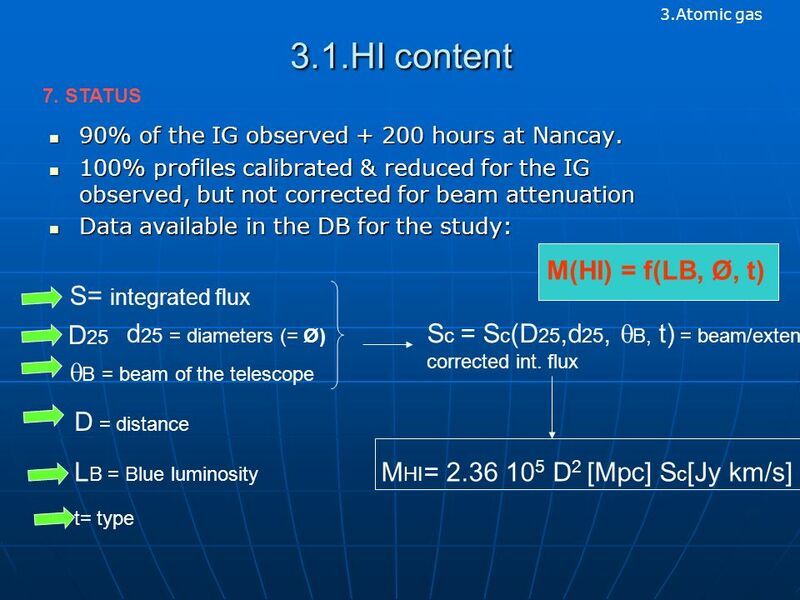 HI absorption around the nucleus of an active galaxy NGC1052 Yun-da Li Supervisor : Sawada-Satoh, Satoko Shen, Zhiqiang August 28, 2003 ASIAA summer student. 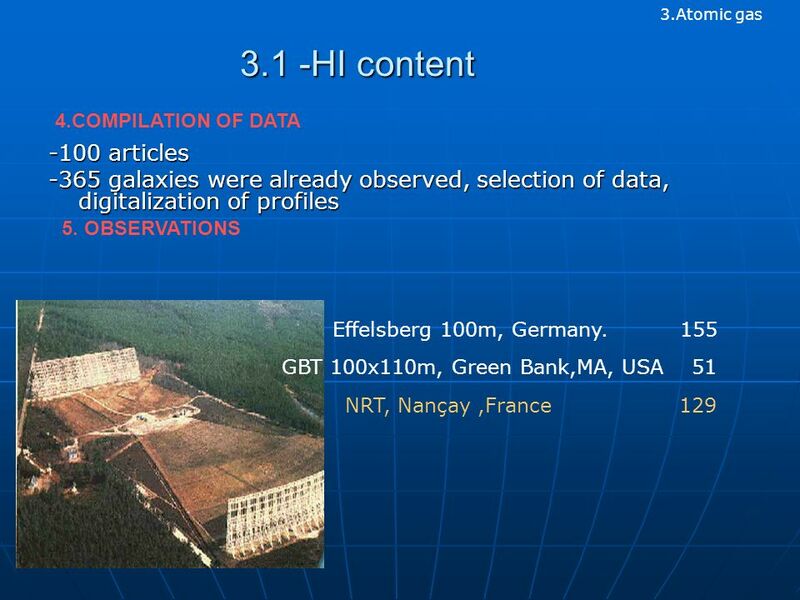 DPG Tagung, March 2003Nadia Tonello, MPI für Physik (Werner- Heisenberg-Institut), München 1 Observations of 1ES with the HEGRA CT1 Cherenkov Telescope. 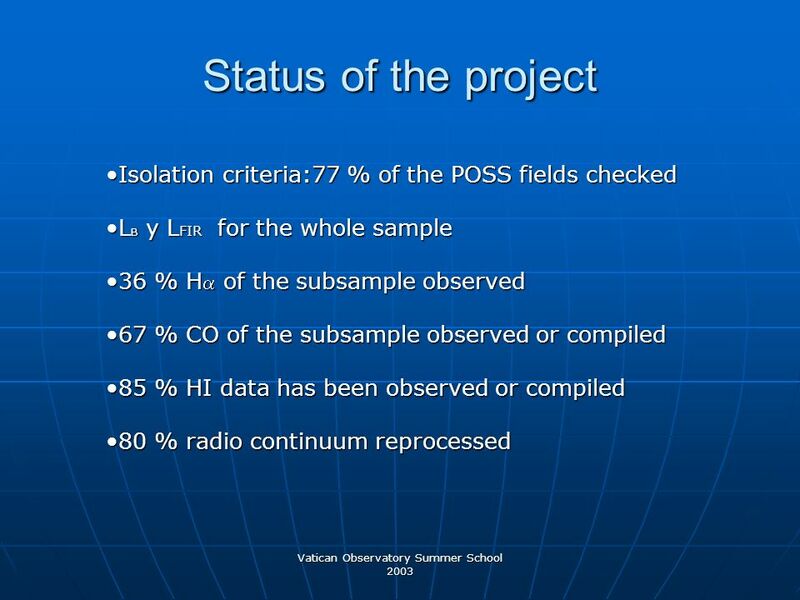 Basics of mm interferometry Turku Summer School – June 2009 Sébastien Muller Nordic ARC Onsala Space Observatory, Sweden. 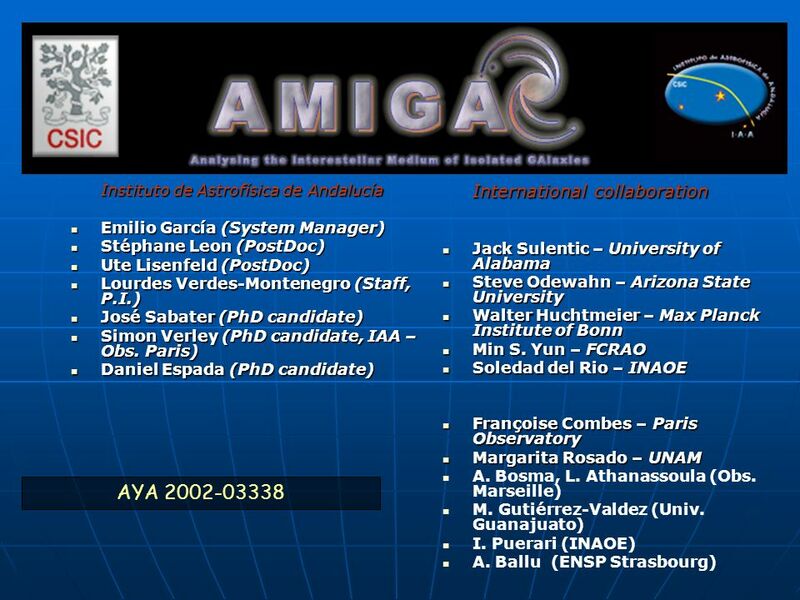 Ming Zhu (JAC/NRC) P. P. Papadopoulos (Argelander Institute for Astronomy, Germany) Yu Gao (Purple Mountain Observatory, China) Ernie R. Seaquist (U. of. 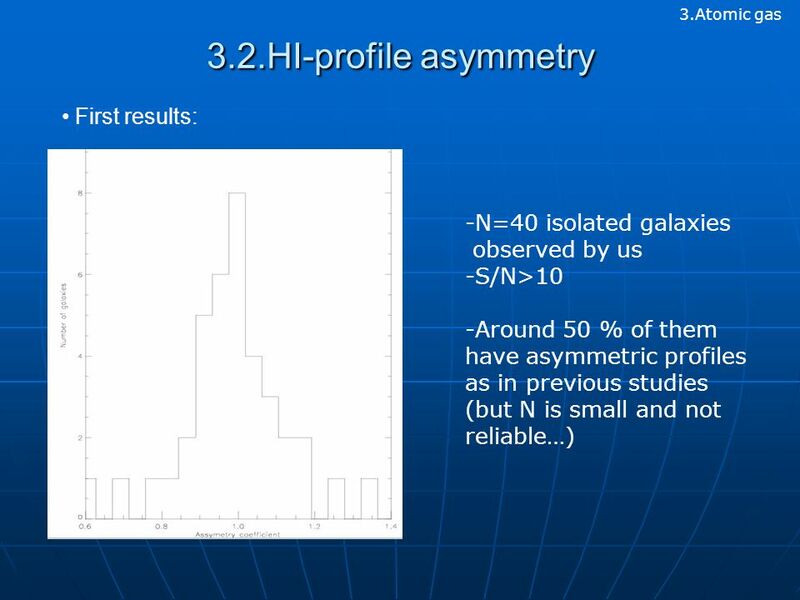 H OPCAT, 6dFGS & Star Formation Rates Marianne T. Doyle Ph.D. Project.